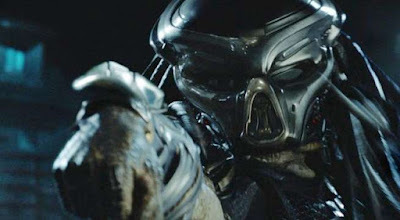 For some reason, the Predator brand has failed to ignite a highly successful franchise of films. The latest movie has failed to cap 2010's Predators in its opening weekend. The Shane Black helmed The Predator managed to squeak by in the first place spot with $24 million which is slightly less that its predecessor which made $24.7 million in its opening weekend. While its great to open first, it's a meager result for a release that was initially expected to relaunch the camouflage killer into a new series of sequels. Fox's idea behind this was to make this an event movie. But, with early critical response being lackluster and a trailer that turned off a lot of fans, its no surprise that the movie didn't do as well as expected. Luckily, its doing far greater overseas with the global total already nearing $57 million. The entire budget was $88 million. It shouldn't be too hard to tip the scales in the Predator's favor.